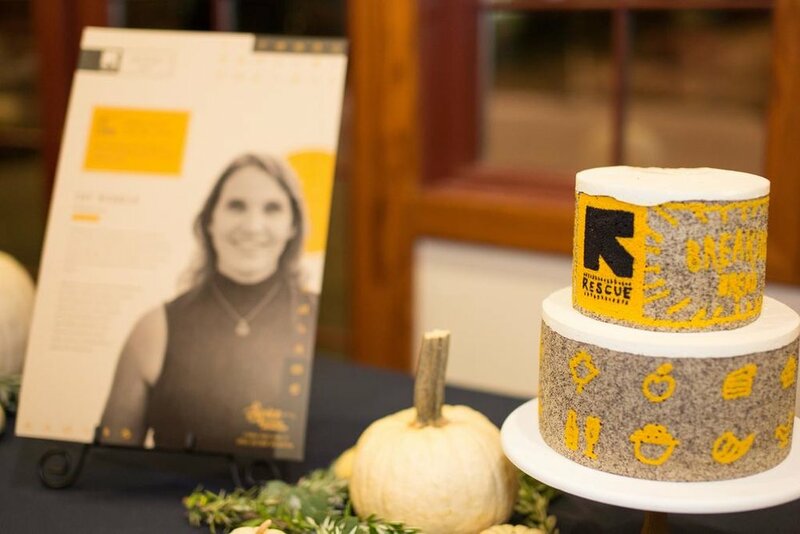 Chef Michaela of M Bakeshop, an entrepreneur at Spice Kitchen Incubator, designed an Austrian mousse cake for International Rescue Committee-SLC Breaking Bread 2017 benefit celebration. Chef Michaela specializes in custom baked goods including Inside Out Entremet Cakes, Celebration Cakes and One-of-a-Kind Made-from-Scratch Cakes. Michaela was born and raised in the snowy peaks of Austria and started to cook with her mother and grandparents as soon as she was tall enough to reach the stovetop. She always felt at home in the kitchen and started to bake delicacies for special occasions by age ten when she discovered the magic and memories her treats could create. At 19 she moved to West Berlin where she worked as a private chef, cooked in a local kindergarten and attended cooking classes whenever possible. In the late 80’s, Michaela moved to Santa Monica, CA, and took over an office lunch delivery company, improving sales by introducing her homemade gourmet sandwiches and Austrian desserts. After taking ten years off to raise her children, Michaela started to bake professionally again, this time supplying specialty Austrian cookies to Nordstrom for their coffee shop in Salt Lake City.